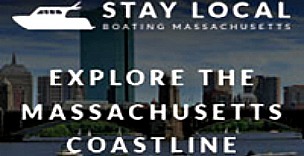 The Stay Local Boat MA transient referral program is operated by Massachusetts Marine Trades Association [boatma.com]. The program was established to encourage seasonal boaters to travel to various destination marinas along the beautiful coastline of Massachusetts and in return receive a discount for doing so. If you are a seasonal guest at one of the participating marinas you are eligible for a dockage/moorings discount at any of the other participating marinas. The program is also designed to encourage group travel by offering a larger discount based on the total amount of boats traveling.